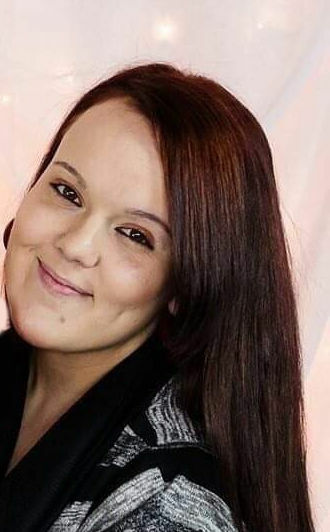 Brittany Marie Day, age 22, of Collinsville, IL born on February 28, 1996 in Belleville, IL, died on Wednesday, January 16, 2019. Brittany worked at Wal-Mart in Carlinville, IL. She was preceded in death by her mother, Anna Marie Davidson; and her grandmother, Karen L. "Cookie" Day-Fonseca. Brittany is survived by her children, Trentyn Cyrus Golliday and Aivah Chanel Morris; her father, Kenneth and Amy(nee Chance) Day of Galion OH; her siblings, Brenden Day of Collinsville, Brooke Nicolosi of Collinsville, IL, Jade Green of Granite City, IL, Logan Chance of Caseyville, IL and Lucas Chance of Caseyville, IL; her nieces and nephew, Blair Autumn Day, Kassidy Cline, and Kolten Nicolosi; her aunt and uncles, Kim McCain of of Caseyville, IL, Brian (Kristy) Day of Collinsville, IL and Rusty Davidson of Brownstown, IN; and her great-aunts, Linda Sale of Collinsville, IL and Donna Hodge of Shelbyville, IL; her cousins, Cody Day and Carlei Day. In lieu of flowers, donations to her family are preferred. Visitation will be held on Friday, January 25, 2019 from 11 a.m. to 1:00 p.m. at Kassly Mortuary, Ltd., Fairview Heights, IL. Funeral service will be held on Friday, January 25, 2019 at 1:00 p.m. at Kassly Mortuary, Ltd., Fairview Heights, IL. Interment will follow in Mt. Carmel Cemetery, Belleville, IL.